Chemical engineering is an exciting profession evolving into many areas. Students in Malaysia need to choose the best university that will equip them with the necessary knowledge and skills to succeed in the competitive job market. Students interested to study Chemical Engineering should be from the Science Stream and have strong credits in Maths, Physics and Chemistry. Students after SPM or O-Levels who are sure of choosing engineering for their degree studies may go for the Foundation in Engineering. If you are still not sure whether you want engineering or other science courses, you may choose the Foundation in Science programme at premier private universities in Malaysia. Students after the external Pre-University Programme such as A-Levels, UEC, STPM, SAM, CPU, MUFY or AUSMAT may enter directly into the Chemical Engineering Degree programme with relevant results. There are many universities that offer the degree in Chemical Engineering in Malaysia therefore, it could be confusing for students to choose the right one. It is important to do some research and ask knowledgeable and experienced counselors. While traditional chemical engineering is based primarily in petrochemicals, chemicals and associated industries, recent developments have brought biological and bio-medical engineering, product design and development, and nano-processing into the domain of chemical engineering. Chemical engineers develop process and operation skills based on physics, chemistry and mathematics within a university course. This is combined with considerations of management, life cycle analysis and safety. environmental engineering, process control, and particle processing. There is an enormous amount of diversity of activities that chemical engineers are involved in, right from the initial ideas of obtaining raw materials, developing ways to process and refine those materials, right through to marketing and ensuring that we have safe and environmentally responsible products. Chemical Engineering is a broad-based field that can take you to a wide range of jobs and specialization such as gas & oil, petrochemicals, oil refining, process engineering, consulting, plastics, paint, manufacturing, sugar refining, light metals, risk management, and more. Interestingly the banking industry is very interested in hiring Chemical Engineering graduates because of their systems approach background. that provide the bulk of manufactured goods to modern society. Many take on management roles, directing the day-to-day activities of both large and small companies. Those who have a passion for business sometimes work as consultants to industry and government covering areas such as environmental protection and plant construction. Chemical engineers are in a creative environment, where ideas and materials come together in innovative ways. The challenge today is to ensure that all we do considers the total life cycle of the product or material from birth to the grave. Due to their broad skills, chemical engineers are prominent in analyzing and developing solutions to a wide range of environmental issues. These include solid wastes, air and water pollution prevention, cleaner production and industrial safety. The skills of the chemical engineer are applicable across industries that are diverse as petroleum refining, food processing, minerals extraction and processing, plastics, petrochemicals, chemicals and pharmaceuticals production, environmental management, biological/bio-medical engineering and biotechnology. Chemical engineers are also involved in the design and development of many products eg. Foods, consumer goods, drugs, plastics and packaging, glass, ceramics, metals, and bulk and specialty chemicals and materials. The chemical engineer is concerned with the economic realization of the findings of biologists, chemists, biochemists and microbiologists, rather than with the science itself. However, this requires close cooperation with these specialists. Hence the chemical engineer must be familiar with the language and principles of science, other fields of engineering, management and industrial relations. the wide range of value added products desired by modern society and to ensure that it is done safely, economically and with minimal negative impact on the environment. Graduates work in a variety of areas covering the chemical, biochemical, biomedical and pharmaceuticals industries; computer-aided process and control engineering; the energy sector; environmental protection, management, and safety; natural resource utilization; food processing; advance materials manufacture; the minerals industry; education; research and development; management and consulting. Latest exciting developments in the Chemical Engineering field are in biochemistry, biotechnology and biomedical engineering where all these fields are inter-related. Students interested in Chemical Engineering should be able to work in a multidisciplinary team and working in a team also means that they should have good interpersonal skills. Possess interest in mathematics, physics, chemistry and biology. Graduates should be prepared for continual learning as it is a growing and dynamic field. There are not many universities that offer the Chemical Engineering degree in Malaysia and for those who offer, most are still new and do not have the accreditation from the Board of Engineers Malaysia (BEM). Students should choose the best university to study so that they can gain the necessary skills to succeed in the competitive work environment. In order to succeed as a Chemical Engineer in Malaysia, students should choose the best private universities in Malaysia to study Chemical Engineering so that you can gain the necessary knowledge and skills. Students after SPM or UEC, should visit the universities’ campuses to look at the facilities and talk to the lecturers to gauge their experience. also the Board of Engineers Malaysia (BEM). Other than the academic quality of the universities, students must seriously consider the student environment. Research has shown that employers have rejected 56% of job interviewees because of the lack of skill in the English language. Graduates with a strong command of the English language have also been found to earn 25% higher salaries and have faster promotions in their jobs. Therefore, in order to succeed, students should choose a private university with an English-speaking student environment to enhance their career competitiveness. You may save a few thousand by going to a cheaper university with a non-English speaking environment, but remember, you will be getting 25% lower salary and slower promotion for the next 50 years of your work life. Study Chemical Engineering BEng (Hons) at Heriot-Watt University Malaysia and get a degree from one of the best universities in the UK for engineering. Heriot-Watt University’s Ranking in the Times/Sunday Times Good University Guide 2014 is in the Top 10 in the UK for Chemical Engineering, and Top in Scotland for Chemical Engineering. 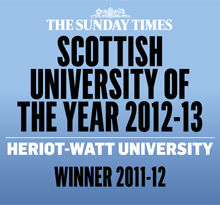 The Complete University Guide 2015 ranks Heriot-Watt University 33rd in the UK and 4th in Scotland. Heriot-Watt University is 22nd in the world, based on the ‘international outlook’ indicator from THE World University Rankings. The university is placed in the top 4%, based on approximation of at least 10,000 universities in the world. level academic study), are eligible for accreditation by the Institution of Chemical Engineers in the UK. The Chemical Engineering BEng (Hons) at Heriot-Watt University Malaysia programme has been approved by Malaysian Qualifications Agency (MQA) and the Ministry of Education (MOE). For registration by Board of Engineers Malaysia (BEM) a four-year undergraduate MEng programme is required. In addition, relevant work experience is required for accreditation by the Institution of Chemical Engineers in the UK. Top Ranked UCSI University is famous for its engineering courses. UCSI University’s engineering students consistently win top awards in international competitions. From developing plug-ins for oil well testing to designing electric car concepts, UCSI’s engineering students have the opportunity work on global solutions every day. UCSI also provides opportunities for students to pursue cutting-edge research at the world’s best universities like Imperial College London. With over 4,000 global corporate partners, UCSI has the distinction of having the largest industrial placement programme in Malaysia. UCSI University is ranked in the Top 300 Universities in Asia in 2015 by the renown QS University Rankings. UCSI University is ranked as Excellent or Tier 5 in the SETARA 2013 rating system by MQA. The Bachelor of Engineering (Hons) Chemical Engineering degree at UCSI University is accredited by the Board of Engineers Malaysia (BEM).UCSI University is rated in Tier 4 alongside Malaysia’s leading research universities and foreign branch campuses like UM, UKM, Nottingham and Swinburne in the MQA’s D’SETARA rating. continuing on to the 4-year Chemical Engineering degree. Pre-University students with the relevant results in STPM, A-Levels, SAM, CPU, AUSMAT, etc. can enter directly into Year 1 of the engineering degree. Students should choose top private universities in Malaysia for their Chemical Engineering education so that you can gain the best knowledge and skills for a successful career. Chemical engineers are known as the universal engineers of all time and are well-versed in converting raw materials to more practical forms by applying both physical sciences and life sciences. Fusing chemistry, biology, microbiology and biochemistry with mathematics, this branch of engineering is versatile and allows room for specialisation in many areas, such as nanotechnology, reﬁning, bio-diesel production and petrochemical production, to name a few. The Chemical Engineering degree programme oﬀered at UCSI University is designed to equip students with fundamental engineering and scientiﬁc knowledge in the ﬁeld of chemical engineering. few. Apart from being solidly grounded in technical applications, the students are also furnished with management skills during the course of their study, in line with current demands of the industry. We won! : (second from left to right) UCSI University chemical engineering students Jing Ren, Selvaraja, Chun Man and Shapnathayammal with their lecturer Mubarak Mujawar (left) at the event. Innovation Exhibition (i-ENVEX 2014) 2014 in Kangar. They bagged three gold medals and one silver medal for their efforts. The gold medals comprised the Malaysian Invention and Design Society (Minds) Gold Award and two category awards. The students were ecstatic about their win, having edged out more than 87 entries from local and foreign institutions of higher learning from countries such as Korea, Taiwan, Croatia, Iraq, Ukraine, Indonesia, Cambodia and Romania. Notably, the event necessitated the participants to present their final year projects to the public and a panel of internationally-recognised Malaysian researchers. 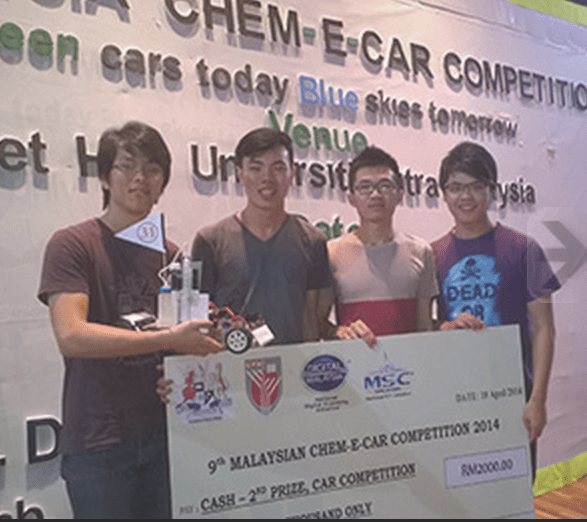 UCSI University Chemical Engineering students Chong Jeunn Hao, Soh Wei Ming, Tan Kuan Leong and Ho Lup Fai bagged first runner-up and RM2,000 at the 9th Malaysia Chem-E-Car Competition 2014.
private universities, clinching first runner-up and RM2,000 at the 9th Malaysia Chem-E-Car Competition 2014. Themed, ‘Green cars today, blue skies tomorrow’, the competition necessitated each team to design and build a model car powered by a chemical reaction. Interestingly, the small car must be able to carry 100 – 500ml of water, travel 15 – 25 metres in distance, and stop at the finish line within two minutes. According to UCSI University, student Chong Jeunn Hao, the greatest challenge was building the car model. Assembled by hand, the car was mostly made of wood and parts like motors, gears, bearings and wheels. Lee May Yan was selected to pursue a high impact research programme at Imperial College London, UK. Soh Wei Ming and Leon Tan Kuan Leong, BEng (Hons) Chemical Engineering students were selected for cutting-edge research programmes at Imperial College London in 2015. Chan Wai Loon and Goh Wei Siong, BEng (Hons) Chemical Engineering students were 1st Runners-Up (RM7, 000 prize), 2014 Schlumberger Enhanced Oil Recovery Contest. The Department of Chemical Engineering at Curtin University Sarawak Campus brings together staff and students with multicultural and international environment. It is the place for undergraduate and postgraduate studies, where the students would find an exciting environment with excellent and outstanding teaching and research facilities while enjoying a fee structure which is extremely reasonable by international standards. 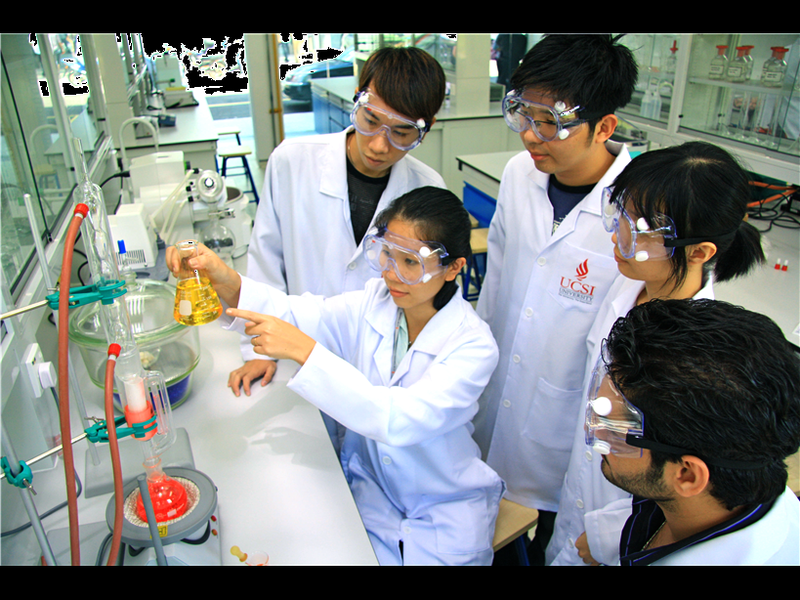 Curtin University Sarawak’s vision is to bridge chemical engineering and sciences into industrial practice. The Department of Chemical Engineering has been expanding significantly and continues to undergo great changes to ensure that the latest research development is integrated into teaching and learning activities. A number of competitive research grants from Government and Industries have been secured by Curtin University Sarawak staff. Research collaborations have been established not only with local industries and academic institutions but also internationally. brings Curtin Sarawak in line with Curtin University’s campuses in Perth and Singapore, which have also achieved ISO 9001:2008 certification. Biomedical Data Infrastructure (BDI 2013) in Kuala Lumpur with Dr. Sarinder K. Dhillon from University of Malaya. The symposium discusses the next generation of information integration approaches that are needed to ensure increasing infrastructure agility required for high-throughput biomedical research. The Bachelor of Engineering (Hons) Chemical Engineering programme at Taylor’s University is designed to equip students with a sound understanding of fundamental theories and concepts in chemical engineering, primarily the knowledge to transform raw materials into useful products efficiently and safely, with minimal environmental impact. Students after SPM or O-Levels with at least 5 credits including the relevant subjects may enter the Taylor’s University Foundation in Engineering for 1 year before continuing on to the chemical engineering degree. Pre-University graduates such as UEC, STPM, A-Levels, SAM, CPU, AUSMAT and others may enter directly into the 4-year Chemical Engineering degree providing they meet the minimum entry requirements. 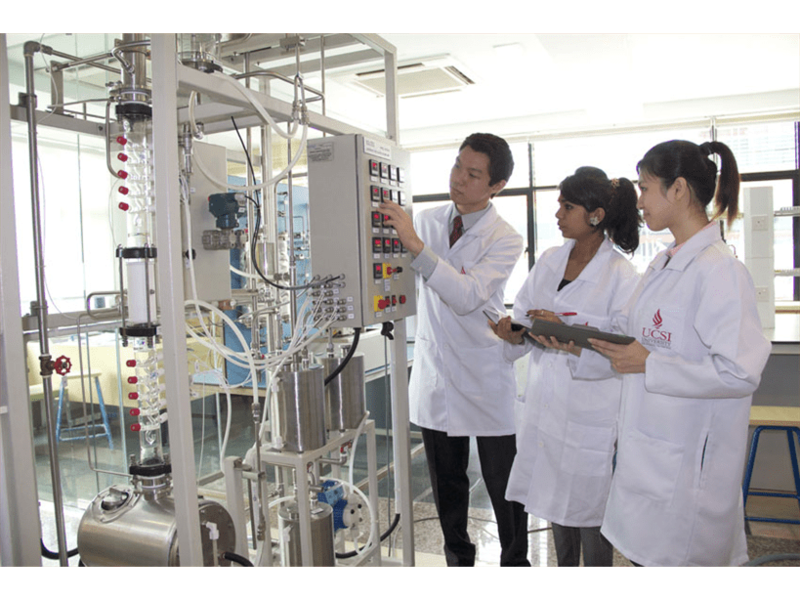 The Chemical Engineering degree at Taylor’s University is accredited by MQA and the Board of Engineers Malaysia (BEM). Taylor’s University is a top ranked private university in Malaysia and is an excellent choice for students who desire an education that is premier. During the Chemical Engineering degree programme at Taylor’s University, students will acquire knowledge in integration of engineering principles and applications with chemistry and other sciences. Students will be instilled with technical proficiency and industry knowledge, as well as the ability to apply theories into practical and feasible innovations, in a multidisciplinary environment. In-depth knowledge of optimising and controlling chemical engineering process systems using appropriate mathematical and simulation tools through modules such as Engineering Mathematics, Chemical Process Modelling and Chemical Process Control. In-depth knowledge and understanding of designing a process plant through modules such as Process Integration & Unit Operations, Engineering Economics, Safety Process Plant Design and Chemical Engineering Group Project. Exposure to electrical and electronic engineering modules for a better understanding of the design and application of electrical and electronic circuitry in systems. Cultivate business-minded engineers through exposure to business management modules such as Business Skills for Engineers, Managing Projects for Success and Engineering Economics. Ability to develop and improve solutions catered to consumers’ needs through various engineering design modules. Ability to apply the CDIOTM Framework to engineering processes and systems, taking into consideration functionality, safety, cost effectiveness and sustainability. 12-week industrial training to develop practical and relevant skills for future employment.